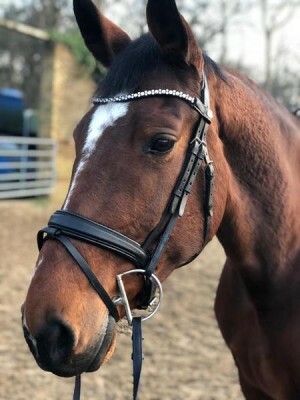 Zizzi is a 10 year old bay mare, who has outstanding paces and scope to turn to any discipline you choose. She has previously competed at prelim level dressage. She has also been to countless amounts of cross country and show jumping clinics, also show jumping at 1m with her previous owner. Zizzi has previously been in foal but when she was young. This mares temperament makes her one in a million! She is a very kind and willing horse who loves to work! She can be nervous with new people but as soon as she trusts you she will do anything for you and try her heart out. She’s quite a hot horse, but that said is always the sensible head out hacking. She is fine on the roads aslong as she’s not alone. Turnout in a herd or in a paddock. Good to box with encouragement, she is currently bare foot and copes perfectly in lots of work. I have never clipped her as not needed to. Good for the vet, up to date with teeth and vaccinations. This mare means a lot to me and really deserves to find the right person.